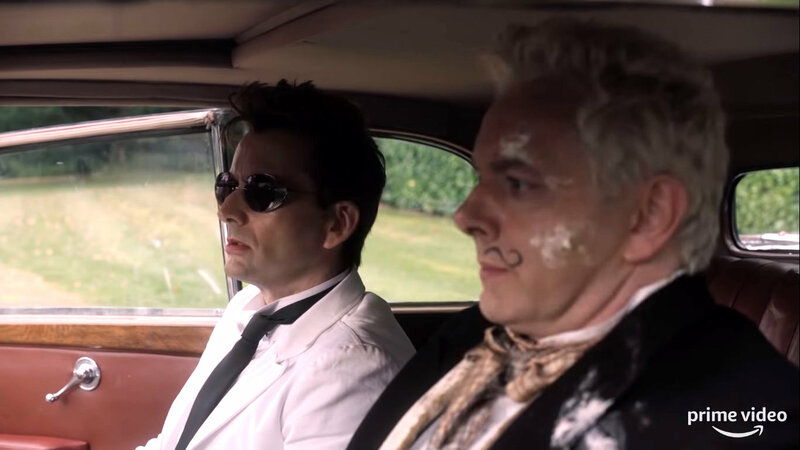 Good Omens co-author and showrunner Neil Gaiman has provided an update on the status of the six-episode adaptation of the much-loved novel. 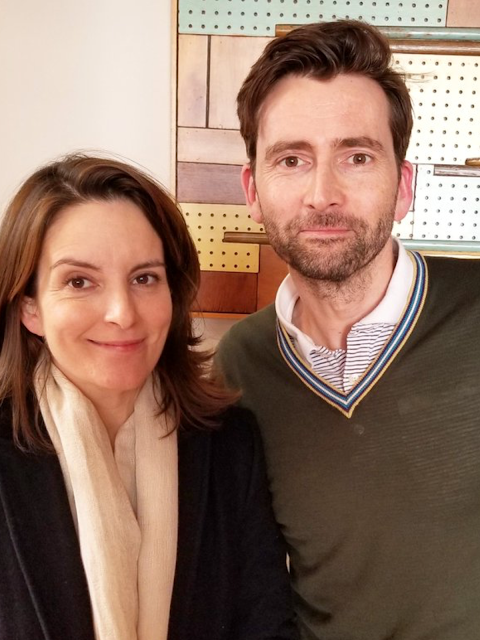 Neil has been working on the series since late 2017 and tells in his new blog post That Was The 2018 That Was how Good Omens dominated his life throughout the year and will continue to do so into 2019. 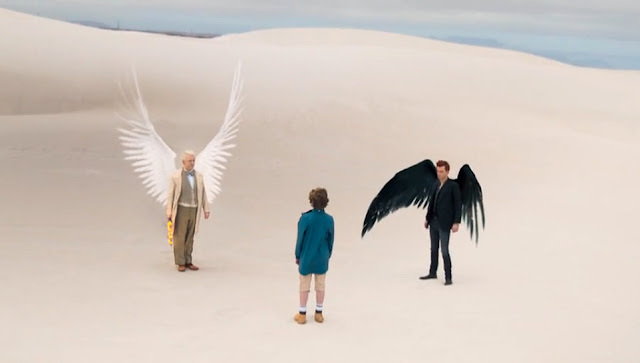 Good Omens has been adapted by Neil from the fantasy novel he co-wrote in 1990 with the late Sir Terry Pratchett. 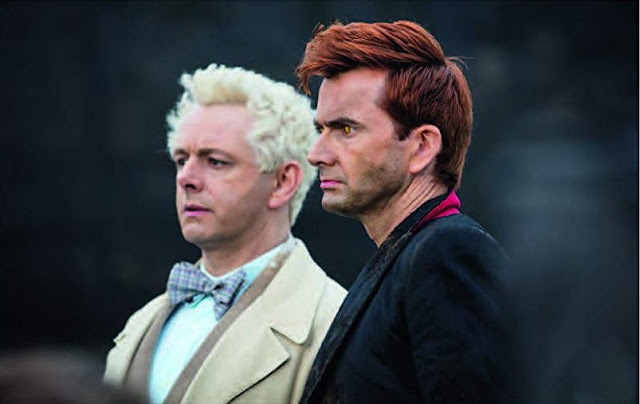 The long-awaited TV version stars David Tennant in the role of the demon Crowley with Michael Sheen as his angelic counterpart Aziraphale as the pair form an alliance in order to thwart the oncoming Apocalypse and preserve their comfortable lives on Earth. 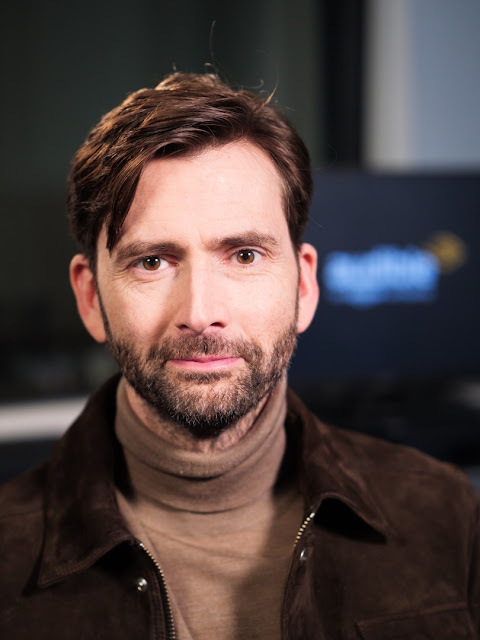 Other cast includes Adria Arjona as Anathema Device, Michael McKean as Shadwell, Jack Whitehall as Newton Pulsifer, Miranda Richardson as Madame Tracy, Sir Derek Jacobi as Metatron, John Hamm as Gabriel and Sam Taylor Buck as Adam Young. Good Omens is directed by Douglas Mackinnon and produced by Amazon Studios, Narrativia, The Blank Corporation and BBC Studios for Amazon Prime Video. 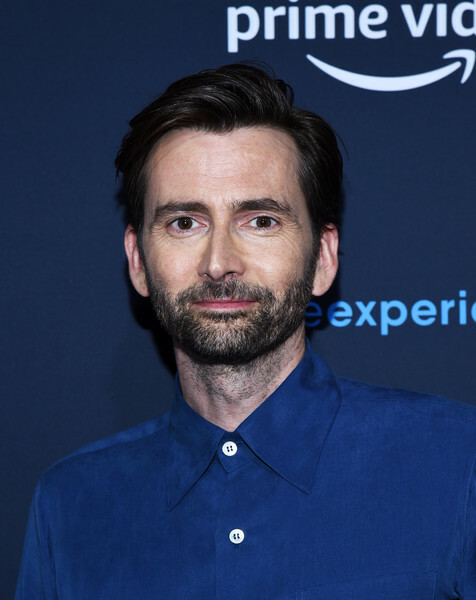 Post-production also involves adding visual effects, which for Good Omens is handled by MILK. 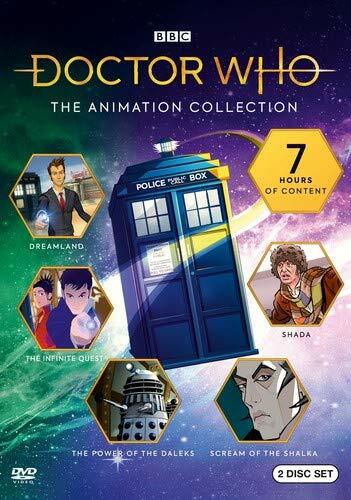 Neil says this includes, “…the big obvious ones like the M25 London orbital motorway turning into a flaming ring around London, or the huge floating head of Derek Jacobi filling Aziraphale's bookshop, and the less obvious ones, like the missing details of our Soho street.” Other agencies are involved in grading and colourising the footage and adding graphics. Post-production should complete around the end of January. 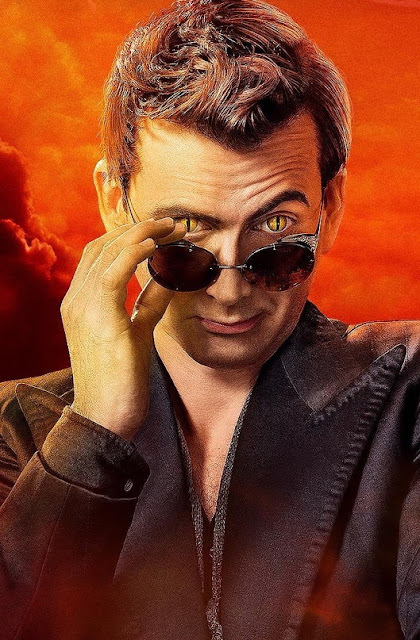 As yet there is no confirmed release date for Good Omens, but the series is set to launch worldwide on Amazon Prime in the first half of 2019, with a broadcast on BBC Two later in the year. 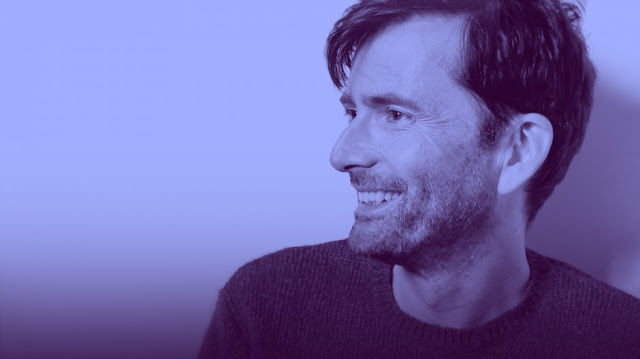 BBC Worldwide is currently handling distribution to TV networks in other countries.